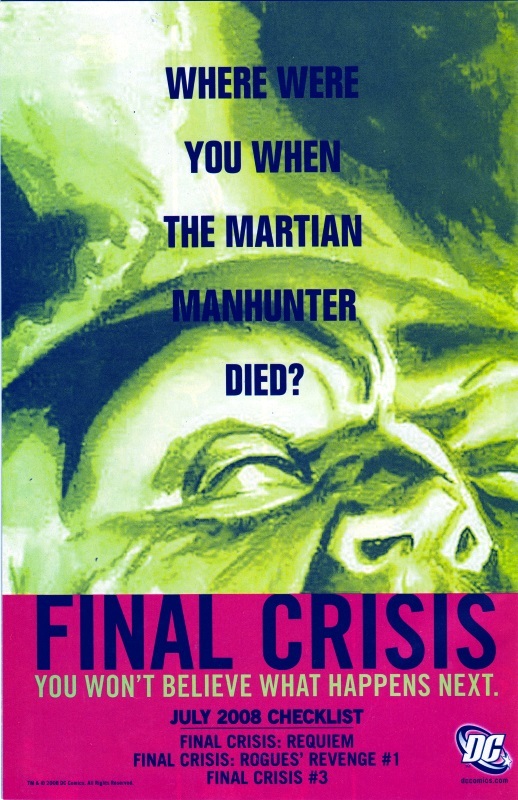 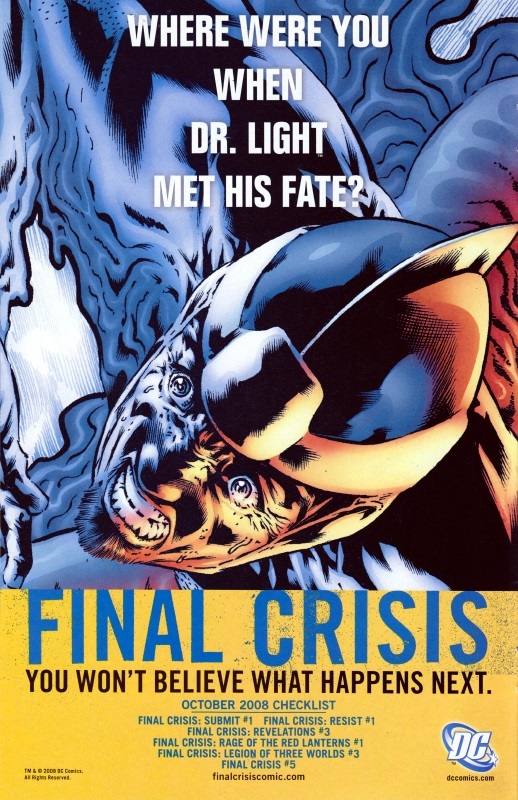 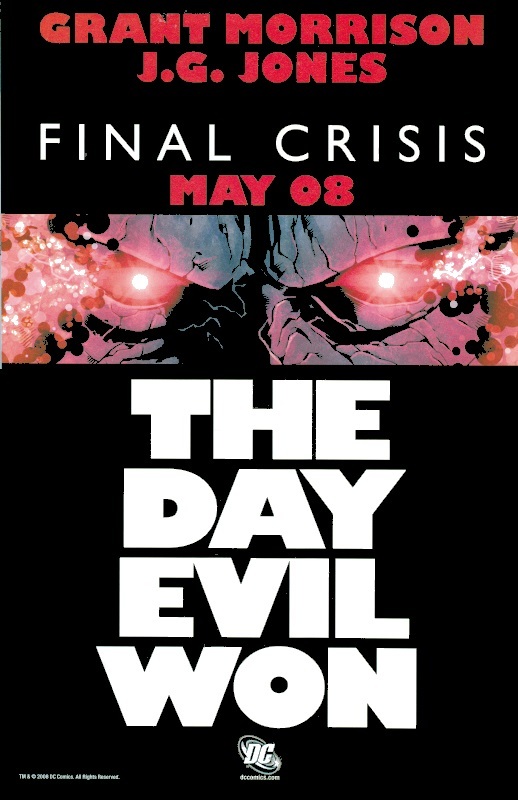 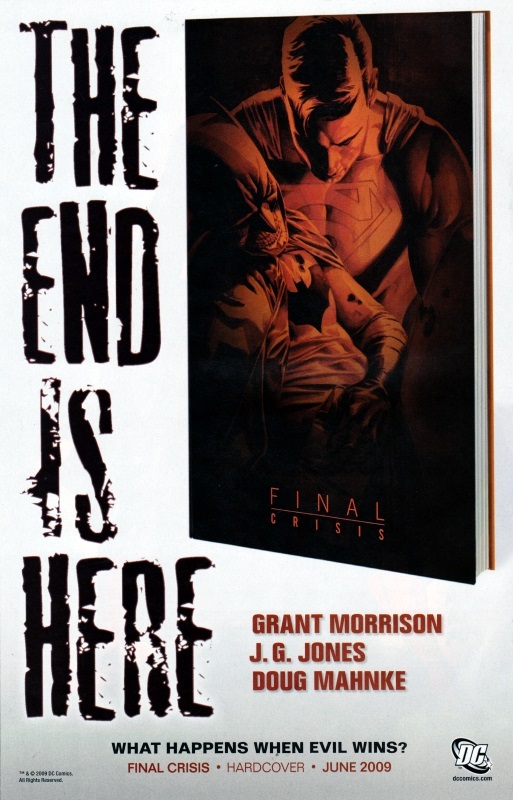 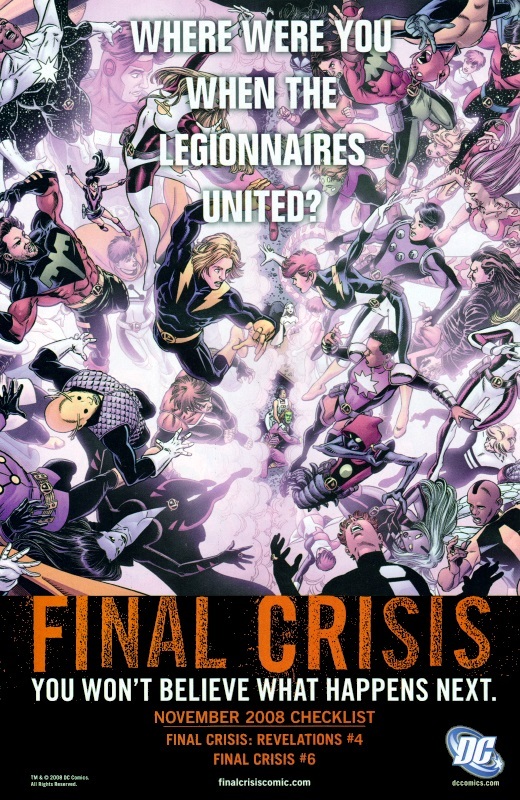 Like most every other event series, FINAL CRISIS was advertised throughout DC’s other titles. 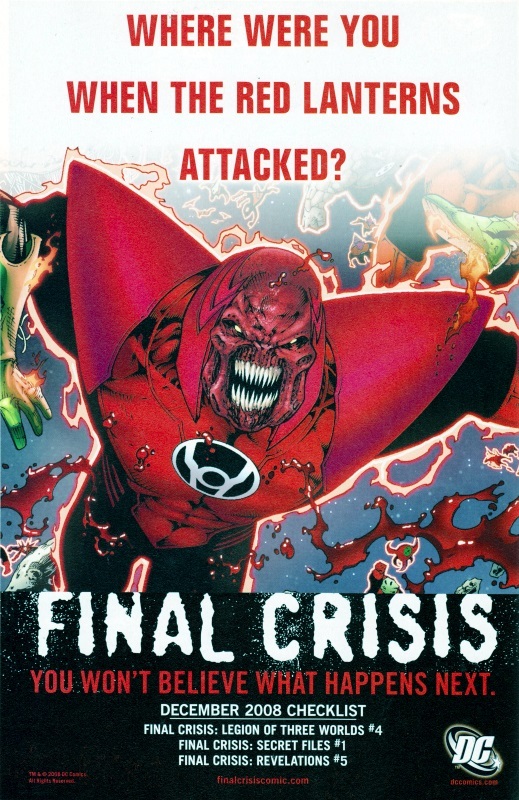 From memory, this was the first teaser image released, possibly even before the series title was revealed. 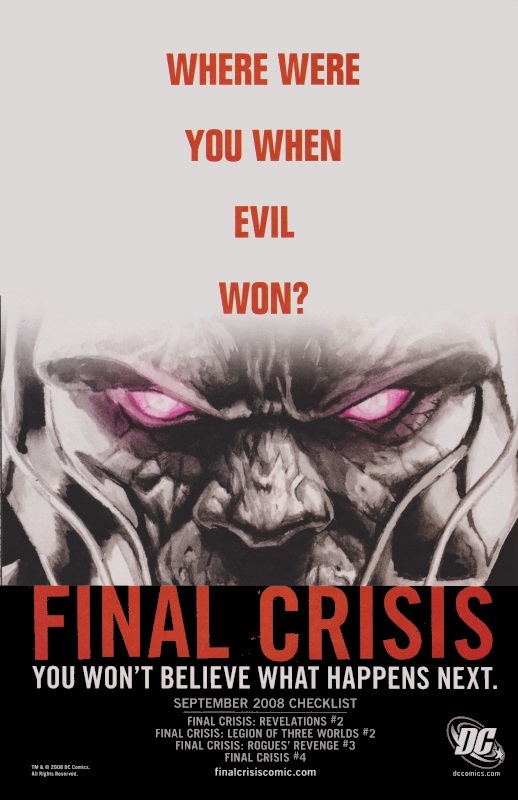 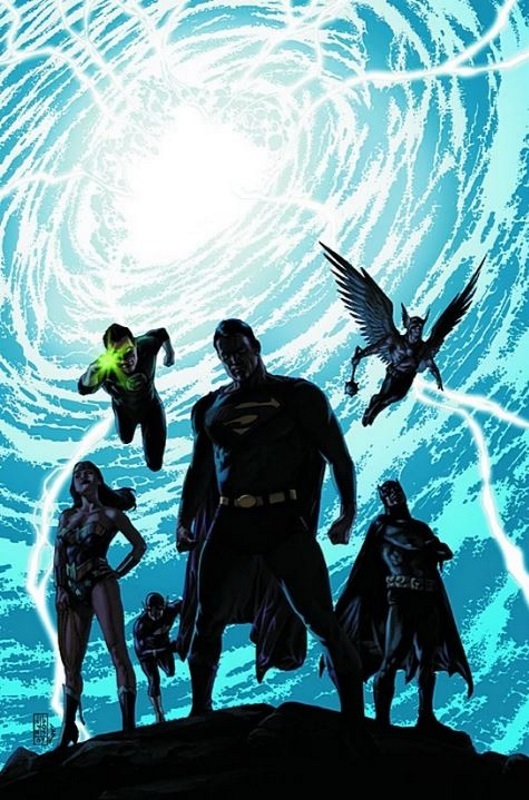 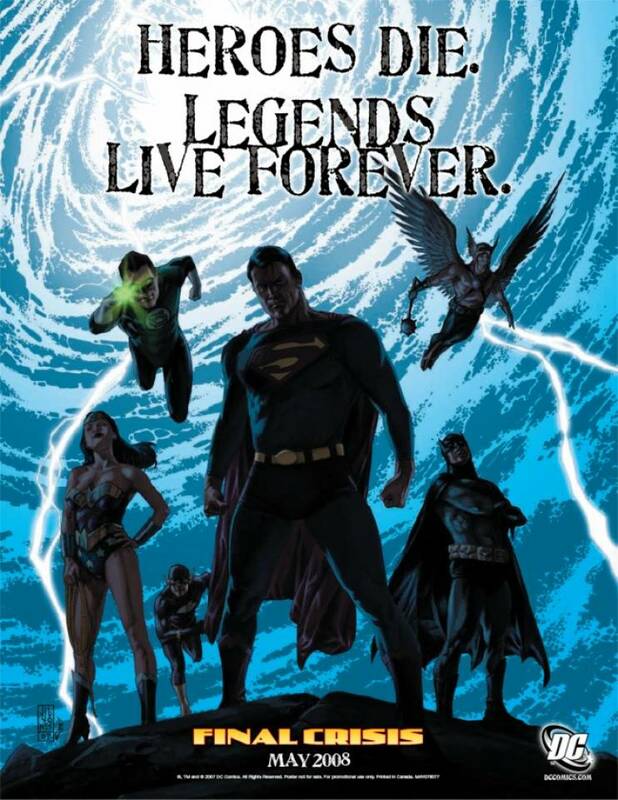 And here’s the same teaser with the text; note the FINAL CRISIS logo is in the same font as INFINITE CRISIS. 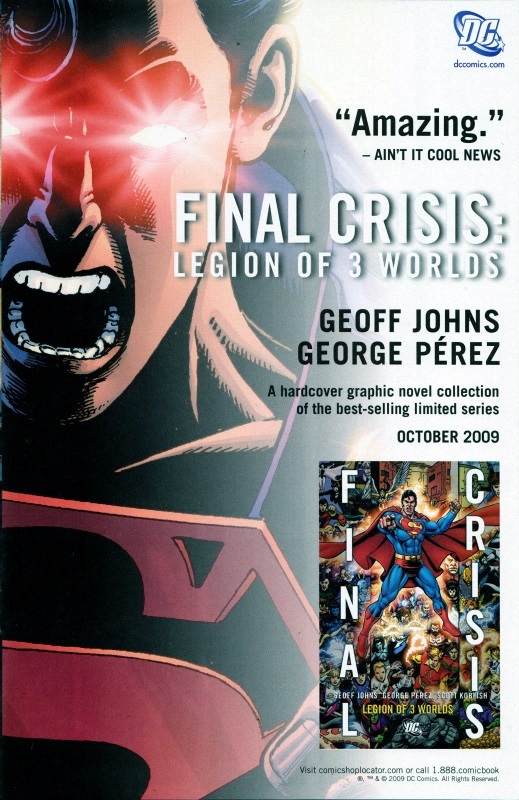 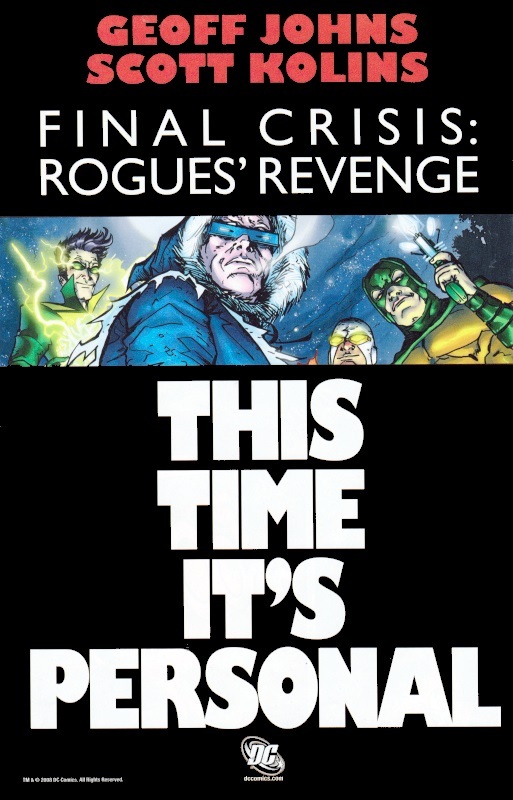 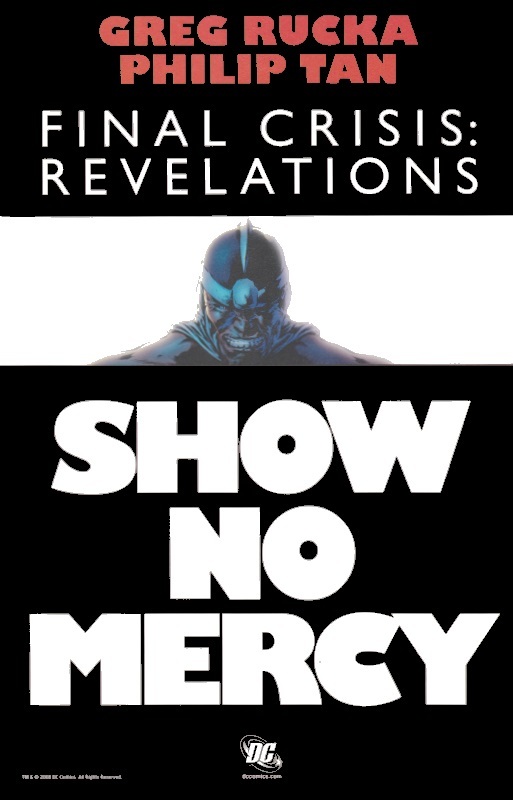 An ad for the hardcover collection. 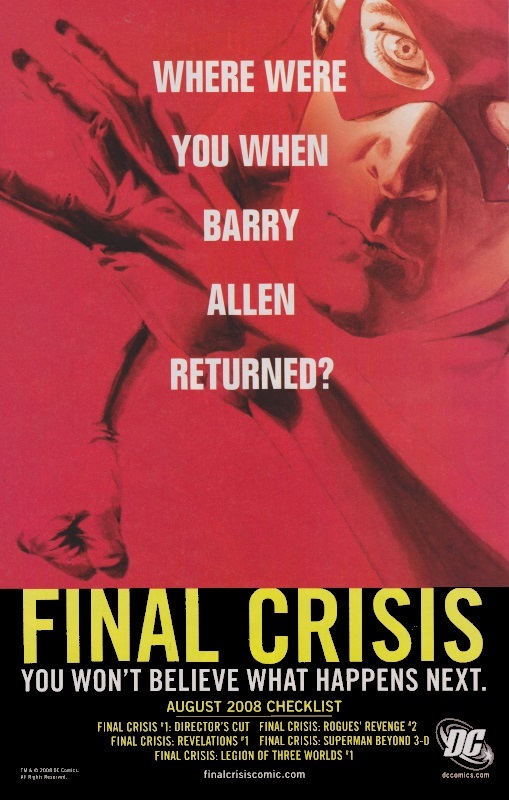 A similar style to the “Where were you…” ads above but without the text. 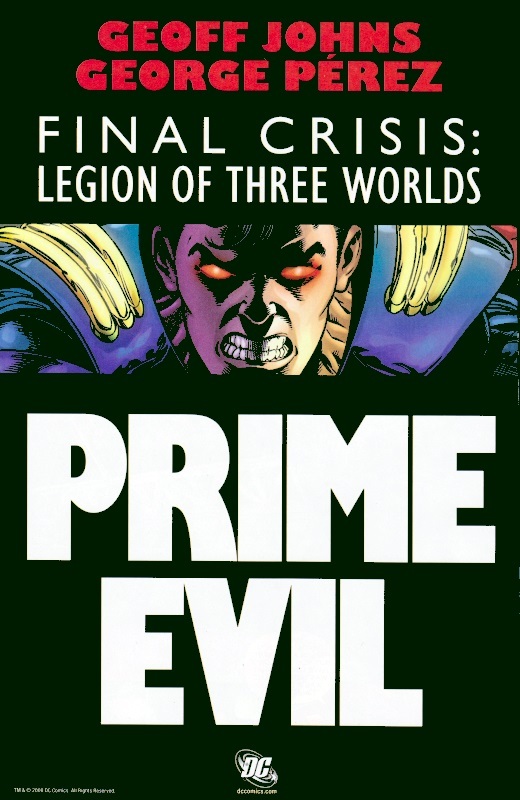 An ad for the LEGION OF 3 WORLDS collection. 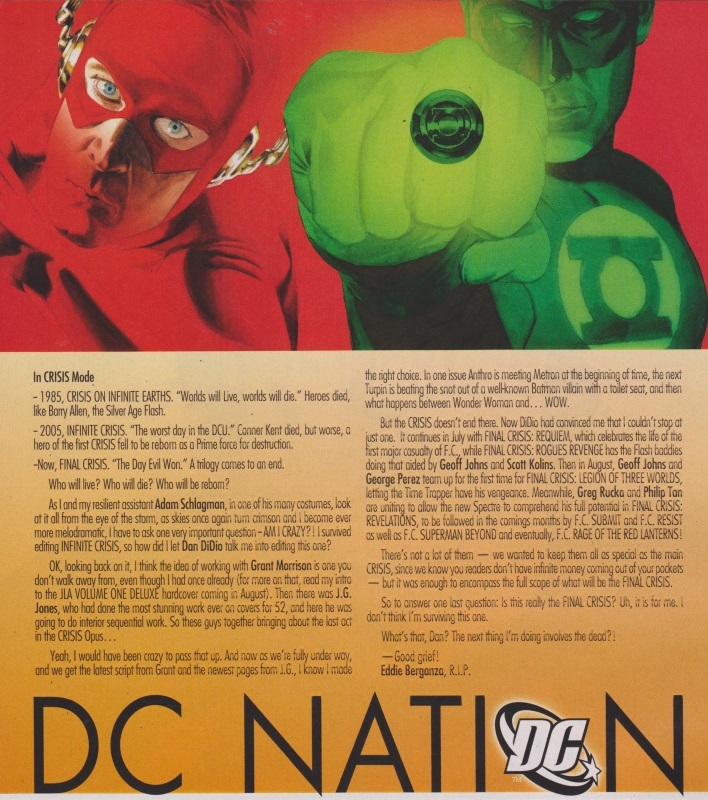 A DC Nation ad about the series. 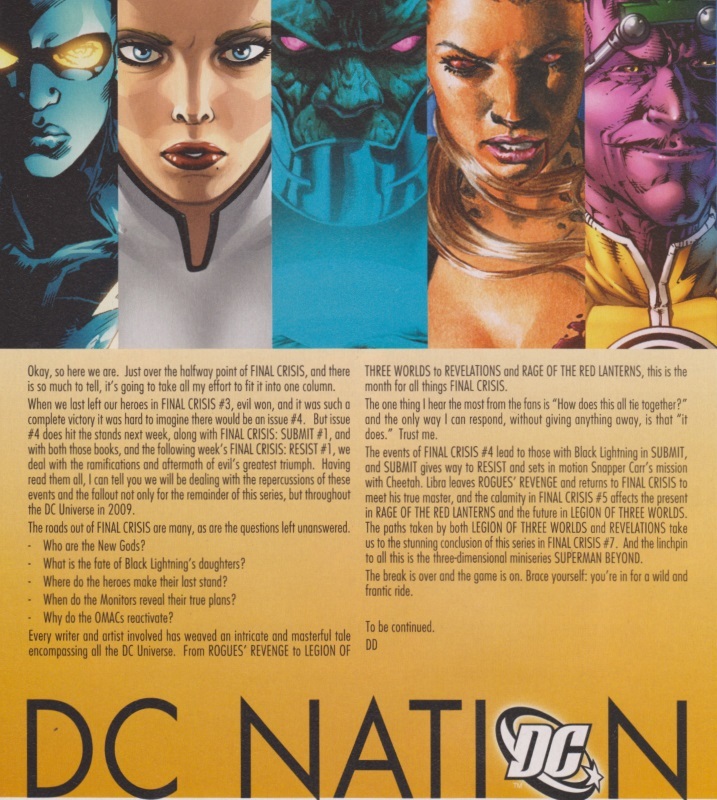 And another DC Nation ad at the halfway point of the series.